2019 BE Engaged Summit a success! Your participation is important and very much appreciated. Thank you for your interest in BE Engaged! Southern Nevada’s business community in exploring the issues, challenges and successes of our public education system. Learn about opportunities to increase funding in our classrooms and how to support these efforts at the Business + Education (BE) Engaged Summit! John and Debbie Guedry founded BE Engaged in 2016. 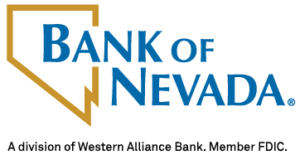 They both recognized the need for businesses to become involved with the education sector in order to build a stronger future for the students in Nevada. They believe that Nevada’s economic future is directly tied to the state’s public system, the achievement of its students and the availability of an educated workforce. When my they first considered developing the BE Engaged event years ago, it was their mission, along with several committee members, to not only help find solutions for the challenges in our education system, but to also, and most importantly, find ways to become personally and professionally engaged with education leaders. They felt that it was vital to ensure that Nevada community members, business leaders and legislators address the challenges of our state and provide opportunities for Nevada students – our children and grandchildren – to prepare them for the future workforce. Each summit highlights different topics, programs and organizations that are share the same mission. Summit content differs every year. The overall goals is to provide a greater understanding of initiatives happening in our school system, all while providing additional information on ways for businesses and business owners to get more involved in educational programs that are truly making a difference for our students. We encourage you to get be engaged and get involved!